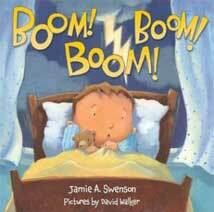 Jamie A. Swenson - Boom! Boom! Boom! A stormy night. A brave young boy. A ton of frightened friends. BOOM! BOOM! BOOM! The lively rhyming text and kid-friendly illustrations make this a great book to share either one-on-one or with a group. 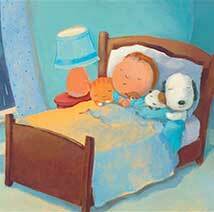 I wrote this book on a dark and stormy night when a beagle, a cat, two children—and various stuffed animals—decided to jump into my bed. 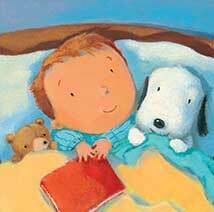 As soon as the storm passed and everything was calm I ran to my desk and started writing BOOM BOOM BOOM!—all about a brave little boy and his frightened friends and how they ride out the storm together. This book is meant to be read aloud—so have fun with it! Especially with the BOOM BOOM BOOM parts! I had fun writing it—and I hope you have fun reading it and sharing it with your friends. Illustrations on this page are copyright © David Walker.